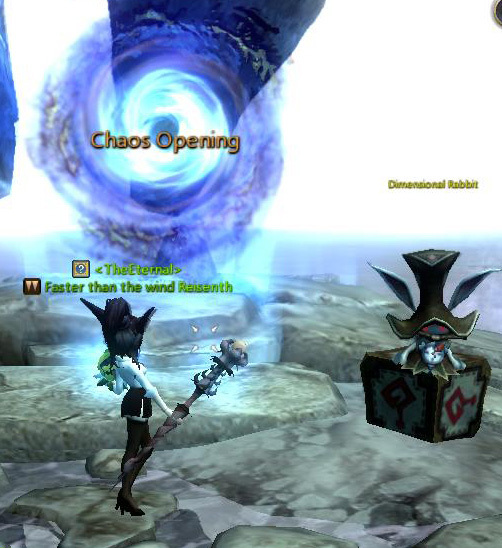 The entrance to this level 24 Chaos Opening is located to the left of the Gray Ruins. - Destroy monster spawns in four rooms to open a central portal sealed by large black crystals. - Decide whether a Minotaur or a gang of Goblins is stronger and help the chosen party triumph over the other. - Survive for a certain period of time in a long hallway as monsters spawn endlessly. - Navigate a narrow pass with several road blocks, which are opened by destroying the preceding monster spawn. - Destroy a Hobgoblin Generator as Hobgoblins spawn endlessly. The boss fight is a party consisting of a Warrior, an Archer, a Cleric and a Sorceress. The Reward Chest contains one or more Boss materials from Carderock, Praire Village and Mana Ridge dungeons. The Reward lottery contains skill fragments for level 1-23 skills. 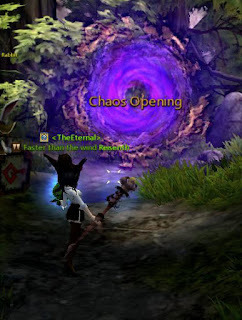 The entrance to this level 32 Chaos Opening is in the Black Mountain Path. - Defeat the Orc Brothers and a bunch of their groupies. Landslide Krag has a new unavoidable move that forces all party members to dance as he slowly advances towards one of them before exploding. - Defeat the evil memory of the Hobgoblin Brothers. - The boss fight is a party consisting of a Swords Master or a Mercenary, a Bow Master or an Acrobat, a Priest or a Paladin, and a Force User or an Elemental Lord. 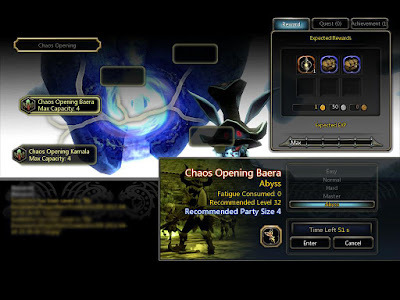 - The Reward Chest contains Boss materials from Saint's Haven dungeons. 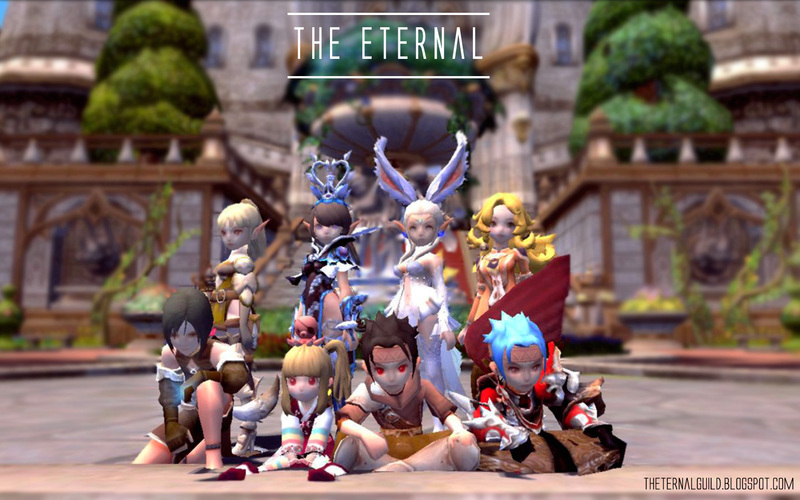 - The Reward lottery contains skill fragments for level 24-40 skills. NOTES: Chaos Opening is no longer available after the updates now, it has been removed.